Our senior managers highlighted below are leading our growing Terracycle USA team, which is currently 75 members strong. CHIEF EXECUTIVE OFFICER AND CHAIRMAN OF THE BOARD OF DIRECTORS OF TERRACYCLE, Inc. and TERRACYCLE US INC.
Tom is the founder and CEO of TerraCycle, Inc. He is a world-renowned entrepreneur, business leader, innovator and public speaker, who oversees one of the world’s few green multinational companies. Through TerraCycle, Tom has pioneered a range of business models that engage manufacturers, retailers and consumers in recycling products and packaging (such as beauty and dental care waste, cigarette butts, coffee capsules and food packaging) that would otherwise be destined for landfill or incineration. To implement circular solutions for previously disposable materials, Tom had the foresight and courage to pioneer a business model that incorporates several distinct lines of business, so that TerraCycle could serve as a unique catalyst among market participants. While a student at Princeton University, Tom won multiple contests for his business plan for TerraCycle, prompting him to leave school and develop his company. 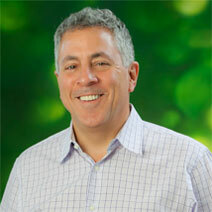 Now, he is an advisor to CEOs of some of the world’s largest consumer products companies. Tom is the author of three books, “Revolution in a Bottle” (2009, Portfolio), “Outsmart Waste” (2014, Berrett-Koehler) and “Make Garbage Great” (2015, HarperCollins). Tom created, produced, and starred in TerraCycle’s reality show, “Human Resources” which aired on Pivot TV from 2014-2016. Tom and TerraCycle have received over 200 social, environmental and business awards and recognition from a range of organizations including the United Nations, World Economic Forum, Forbes Magazine, Fortune Magazine, and the Environmental Protection Agency. Richard met Tom and joined TerraCycle, Inc. in 2008. He has undergraduate, law and business degrees from Columbia University. 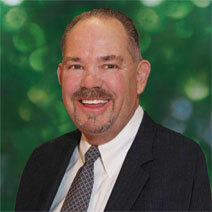 For over 35 years, Richard worked within the “green” business world in which he has extensive long-term relationships. He was involved in a range of businesses, mediations and transactions in clean energy development, carbon credits, real estate and resort planning, international tax structuring, business planning and management, all with a green/mission focus. He is one of the founders of Social Venture Network and Threshold Foundation. He has worked internationally extensively, having been to Japan over 40 times and worked with businesses in India, South America, and Europe. At TerraCycle, Richard has overseen international growth (from 1 to 20+ countries), strategic partnerships, investor relations and capital raising. 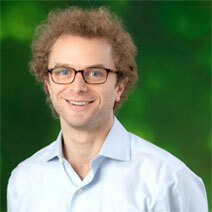 Javier has been the Chief Financial Officer at TerraCycle, Inc. since September 2011. Prior to that, he was the CFO of the American Red Cross COE of New Jersey (January 2010 to August 2011), leading the restructuring of the ARC New Jersey’s 15 chapter financial operations from multiple accounting, payroll and banking systems into one center. From October 2006 until September 2009, he was the CFO of the Pharma Unit of Wolters Kluwer Health, overseeing its global operations. From September 2002 until September 2006, he held senior financial positions at DHL-Deutsche Post, initially as its VP Accounting for the US, then as CFO for the DHL Express Latin American operations. 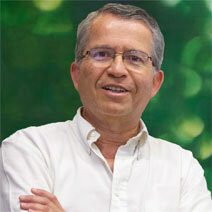 From January 1998 until September 2002 he was CFO Latin America for Clorox. From January 1978 until December 1997, he held finance positions of increasing responsibilities at Procter & Gamble, the latest one as its CFO for the Paper Sector Latin America. He has a MA in International Affairs from Ohio University and a BS in Economics from Universidad Catolica del Peru. Daniel has held the position of Vice President & General Counsel at TerraCycle, Inc. since June 2016 after having spent the previous six years as its Vice President for Global Administration responsible for overseeing the company’s expansion into 20 foreign markets. Prior to joining TerraCycle, Inc., Daniel worked at the American Enterprise Institute in Washington, D.C., studying monetary policy. 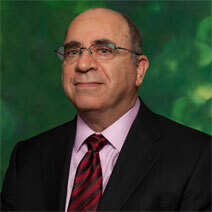 He holds a BA in Government from Cornell University and a JD from the University of Miami (FL) School of Law. Vice President, Research & Development. 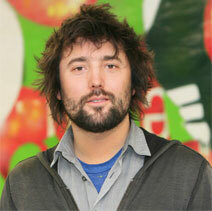 Ernel is the Global Vice President of Research and Development of TerraCycle, Inc. He has served in this position for the past three years and has been with the company for the last seven and a half years. 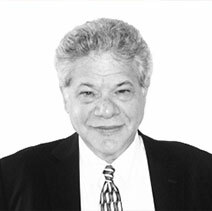 With more than 40 years of industrial experience, Ernel spent six years at Johnson & Johnson Pharmaceutical Research and Development and was also previously employed at The DuPont Company, Xerox Corporation, Rohm and Haas and Arco Chemical Company. He has three US Patents and seven World Intellectual Property Organization (WIPO) Patents. Michael is currently the Global Vice President of TerraCycle, Inc. for Brand Partnership. He joined TerraCycle, Inc. in 2008 to support one of the company’s first national recycling partnerships, and has since played a key role in leading the expansion of TerraCycle’s Brand Partnership platform globally. Prior to joining TerraCycle, Inc., Michael earned a B.S. in Political Science, History, and Music, and a M.A. in Political Science from Central Michigan University. 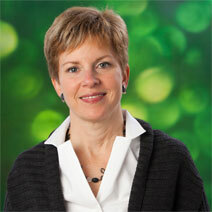 Brett is currently the Global Vice President of Material Sales and Procurement of TerraCycle, Inc. He has served in that position since June 2014, though he has been with the company in other capacities since 2009. As a result, he has a deep knowledge of TerraCycle programs and the different business units that allow them to function. 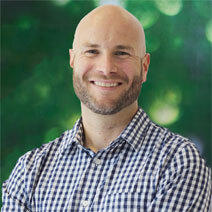 Prior to joining TerraCycle, Inc., Brett was a pharmaceutical account representative for a medical education company. He holds a BS degree in Business Administration, with a concentration in Management, from Monmouth University. 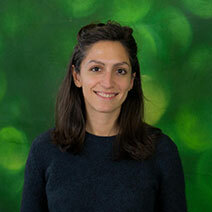 Rhandi is currently the Global VP of Zero Waste of TerraCycle, Inc. She has served in that position for four years, from September 2013 to the present date. Prior to launching the Zero Waste division, she was the Director of Operations for TerraCycle, Inc. from September 2008 to October 2013, managing the logistics for 30+ programs across 17 countries. In that position, she was responsible for managing the TerraCycle website, vendor relationships, metric reporting and invoicing. 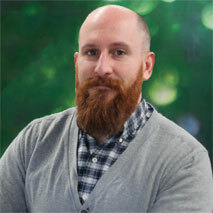 Anthony has been with TerraCycle, Inc. for more than 4 years. Before leading the global business development team, Anthony was a member of TerraCycle Canada’s business development team in Toronto. Prior to joining TerraCycle, Inc., Anthony worked in the Business Development departments for a law firm with offices all over North America and Europe. Anthony holds a BA from the University of Western Ontario and a MSc in International Management from the Ecolé Superieur de Commerce de Dijon Bourgogne. Liana has served as the Company’s Global Director for Staff and Administration overseeing both Human Resources and the budget process working closely with the Chief Financial Officer since 2015. 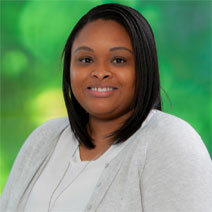 Liana has been with the Company since 2011, working in the Executive Department before taking on her current role. Prior to joining TerraCycle, Liana worked in sustainable business and regenerative finance for several startups. Liana holds a B.A. in Sociology from Colorado College and Professional Certificate in Financial Analysis from NYU SCPS. As Global Director of Communications for TerraCycle, Lauren oversees nine international public relations teams and U.S. media outreach, strategy, content and execution of campaigns for TerraCycle and its 25+ partners such as Colgate-Palmolive, L’Oreal and Procter & Gamble. Lauren started her career as a television news reporter and anchor and then worked in agency public relations for more than 15 years where she represented some of the world’s most visible consumer brands. She is a graduate of the S.I. Newhouse School of Public Communications at Syracuse University and has received several industry awards for her work either individually or as part of a team. A Professor of Industrial Environmental Management at the Yale School of Forestry & Environmental Studies, where she serves as Director of the Program on Solid Waste Policy and as Director of the Industrial Environmental Management Program. Her research and teaching focus on industrial ecology, business and environment, waste management, circular economy, and urban-industrial issues. 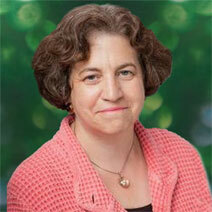 She also holds academic appointments at the Yale School of Management and the National University of Singapore. Prior to her time at Yale, she spent ten years in environmental business and state and local government, including service as president of a large state bonding authority charged with developing a billion dollar waste infrastructure system. She currently serves on the Board of Directors of the Alliance for Research in Corporate Sustainability (ARCS) and the External Advisory Board of the Center for Energy Efficiency and Sustainability at Ingersoll Rand. Professor Chertow has a B.A. from Barnard College, and her M.P.P.M. and Ph.D. from Yale University. Chairman and CEO of Photonic Capital, Inc.
An experienced senior investment banking and executive with a strong track record of funding, building, running and selling profitable and turn-around companies. He is currently the Chairman and CEO of Photonic Capital, Inc. Photonic Capital is a finance, sales and marketing company for the lighting retrofit market. Among other prior engagements, Mr. Laska served as the Chairman & CEO of American Benefit Resources, Inc. (ABR), an integrated retirement benefits company. He built ABR through a series of acquisitions and at the time, it was the largest independent provider of pension administration and advisory in the country. Mr. Laska also served as a deputy CFO for Citicorp where he was responsible for long-term funding and capital compliance. He holds an undergraduate degree in engineering from the University of Massachusetts, a Masters of Science in Engineering from Brown University and an MBA from Stanford University. CEO of Eagle River Capital, formed in 2017 to acquire, integrate and manage small waste collection companies in six Western US states. 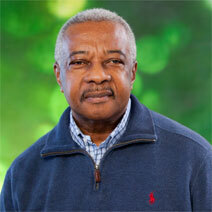 He has close to three decades of experience as an executive in the waste management business. From 2010 to 2016, he was Vice President for Mergers and Acquisitions for Progressive Waste Solutions, a $2 billion waste management company operating in the US and Canada. Prior to that, Mr. Miller worked at Republic Services, the second largest waste management company in the US, serving as Vice President and Regional Operations Manager. He graduated from Hanover College with a degree in Geology. David is currently a Managing Director at Grant Thornton LLP, Washington National Tax Office focusing on International Tax and financial matters. Prior to joining Grant Thornton, he was the Associate Vice President of International Tax Planning at Weatherford International, plc, from December 2013 until March 2017. Prior to that he was a partner at Arthur Andersen, KPMG, and Alvarez and Marsal, where he was a senior international tax and financial consultant to numerous large global corporations and transactions. 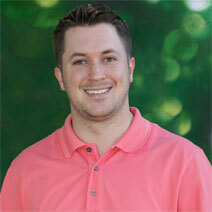 David is a licensed CPA and a member of the AICPA. David holds a BBA in accounting from the University of Iowa and a Master in Taxation degree from the University of Texas at Austin.